Once upon a time and long, long ago… in the 1990s, perms were, like, all the rage. And if it tells you something, even the guys were charging into their local salon and begging for their very own perms. 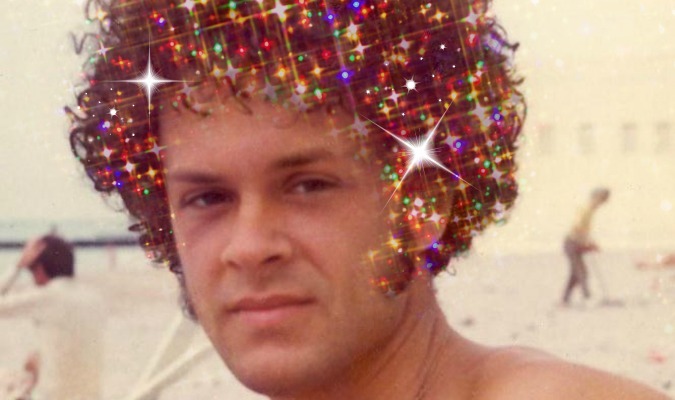 It was the best of times for perm lovers and the worst of times if you weren’t in on the trend. Of course, as the fashion-forward connoisseur that you are, you’ve realized that everything old is new again, and perms… well, perms are back in style. Without wasting a second, you sprinted down to your favorite beautician and asked— no, beseeched them for your very own perm. You’re probably staring at yourself right now, mirror in one hand, smartphone in the other. But wait! You remember you once heard something about how to care for a perm after you’ve gotten one. What were all those lifesaving, perm-protecting rules you heard all those years ago? After all, it was the 1990s, and any knowledge from pre-Web 2.0 days is likely completely and totally lost forever and ever. Well, don’t worry, our favorite Monkey Picklers, because we don’t monkey around when it comes to haircare. We’ve dug through the deepest portions of the Internet to bring you the “Do’s” and Don’ts” of Perms. Now that you’ve captured everything amazing about the 1990s, you’re ready to hit the ground running, literally! You’re going to be the talk of the town, even if you aren’t sporting your old JNCO pants and best flannel shirt. So let’s waste no time at all getting out there and showing those people what we have. Really, this one couldn’t be more simple, but in case there’s any confusion, be sure to grab a YouTube video to get the walking part down pat. The sun is the mortal enemy of a fresh, amazing perm. Let those rays hit your curly locks, and they’ll melt like some smelly teen spirit (seriously, you can never have enough cheesy 1990s references in an article about perms). Instead, don your most menacing black cape and shade that glorious hairdo for all it’s worth. And while you’re strutting down the street, all you’ll need to do is drape your cape to escape that sunshine. Put it right over top for some shade and the perfect combo to get all the attention. There you are, enjoying a nice casual meal at your favorite sandwich shack, and you get an idea. You’re not allowed to wash your newly permed hair, but letting it dry is perfectly okay. Why not speed up the process? After all, if drying is good, faster drying must be even better! Off you go to the bathroom to find the hand dryer and put your plan into action. Guess what? Your wonderful perm will grow to the size of a large poodle. Now, we at Monkey Pickle love that look, but you might not. Probably one of the most irritating parts of having a perm is getting tangles. When it comes to curly hair, it seems like a snag or twist is always getting caught up in itself. The urge to undo those tangles and right your wickedly luxurious hair will be so overwhelming, many people have been found doing so just about every and anywhere. “But Monkey Pickle, please, please, please let me just stick my fork in my hair while I’m at the dinner table and untangle it!” The answer, my dear, sweet Monkey Picklers, is “no.” Keep those implements out of your perm! With these tips, you’re going to be looking soooooo good with that perm. Let’s hear what other long forgotten secrets of perm care you’ve got locked away behind those locks.